The UNHCR Regional Representation in Canberra has called on Australia's government and parliamentarians to take responsibility for the humanitarian crisis unfolding in Papua New Guinea (PNG). Drawing on UNHCR visits to PNG in May and September this year, the statement flags the lack of services and durable solutions available to refugees and asylum seekers. 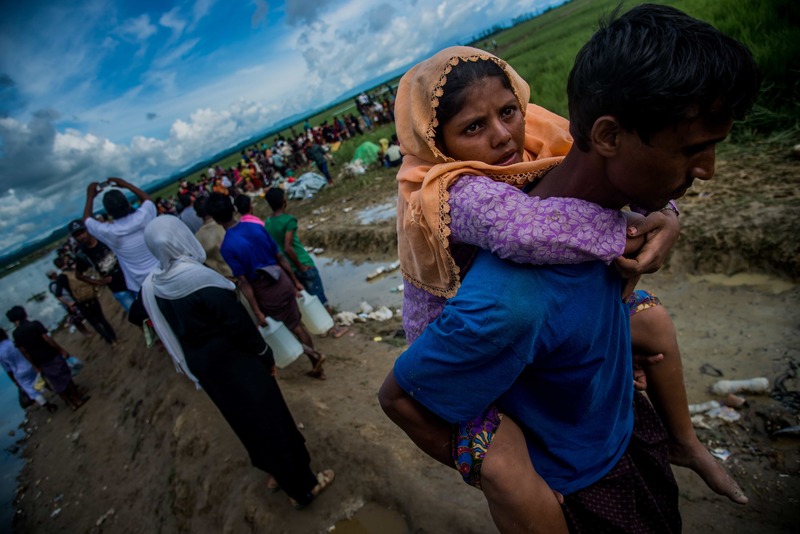 An estimated 582,000 Rohingya have crossed the border from Myanmar into Bangladesh since 25 August. Writing for Foreign Policy, Colum Lynch examines the reasons behind UN inaction on a crisis considered to be 'decades in the making'. Writing for Yale University's Environment 360 blog, Fred Pearce outlines how dam and irrigation projects in the Sahel region of Africa have created a wave of 'environmental refugees'. One year on, the Bar Human Rights Committee of England and Wales has published a fact-finding report on the Calais 'Jungle' camp. The University of London's David Cantor outlines lessons learned and questions raised by displacement in Latin America. The University of Oxford's Refugee Studies Centre has published a research brief on refugee self-reliance. Watch the University of Adelaide's Hugo Lecture Series, featuring presentations from Alan Gamlen and Alexander Betts. A bill seeking to strengthen the requirements for Australian citizenship failed to pass the Senate. The Migration Policy Institute's Maryann Bylander and Georgia Reid contextualise the Thai government's crackdown on migrant workers. The Institute of Human Rights and Business has published a report analysing Japan's Technical Intern Training Programme and the challenge of protecting the rights of migrant workers in the country.